The button has two areas on which you can click: the button icon (image) and the arrow on the right. You can link your page to other site pages, to external sites, to downloadable files or to an anchor (within the same page or in another site page). Once you fill it in, click OK and the link will be inserted in page. If no selection (text, image) had been made before you clicked this button, the specified URL will be inserted in page as a link. If a selection had been made, it will become link to the entered URL. Note: If you want to create a link to an anchor in the same page, simply enter "#" followed by the anchor name in the URL text box. If the anchor is not in the same page, enter "#" and the anchor name after specifying the URL. By selecting one of them, a link to that URL, and with the name displayed in the drop-down menu (if no selection had been made), will be automatically inserted in your page. If a selection had been made, it will become link to the selected URL. You can also insert a link by using the shortcut keys "Ctrl+K". The window asking you to enter the hyperlink URL will pop-up. Proceed as explained above. Note: If there is a link applied to an image and you want to edit the link properties, the simple act of selecting the image will not open the Link Properties panel, but the Image Properties panel. In order to configure the link, click the <A> tag in the Tag Selector. In the Element ID text box enter the value for the id attribute. It will uniquely identify the element (link) in page. custom target... - if you organize your page in frames, enter the name of the frame where you want the link page to open. In the Title text box enter the tooltip to be displayed when the mouse pointer is placed over the link (in most common browsers). By clicking the Remove Link button, the link associated to the current selection (text, image) is removed. 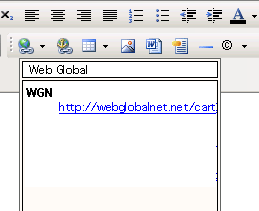 In the Link text box you can edit the URL address of the targeted page. By clicking the Browse for File button to the right, the Remote File Explorer window opens and you can select the file on the remote server to which the current link should point.